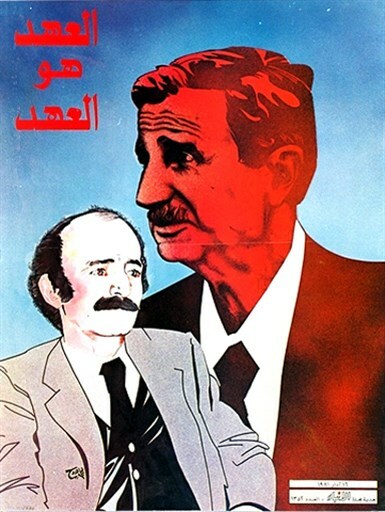 As Syria’s Druze seeks out a balance with the Assad regime, the history of the Lebanese Druze’s Progressive Socialist Party and its leader, Kamal Jumblatt, from the Lebanese Civil War era may yield insights into post-war Syria. The status of Syria’s Druze community has drifted in and out of the West’s attention during the long slog of the conflict. Talal el-Atrache’s recent article highlighted the precarious situation the Druze in Sweida Province, resting on the frontier of Da’esh, with the only option safeguarding their independence and security by way of the Syrian government. The brutal raid illustrated the fraught nature of civilians in southern Syria. Retaliation came quickly. Pictures circulated on social media showed a capture Da’esh fighter hanged from ruins of a Byzantine church over an arch known as “the gallows.” However, the Syrian Druze have also participated in the Syrian Civil War in organized fighting forces. Aymenn Jawad Al-Tamimi has highlighted the scope of the Druze Arab Unity Party and its affiliated militia, Saraya al-Tawheed, operations in Syria. In addition, Tamimi discussed the role Druze women have taken on by upon recruitment to pro-regime militias, such as Labawat al-Jabal. Still, the position of the Syrian Druze throughout the war has been desperate, with some youth refusing to join the Syrian army. One young man told AFP in November, “The army is your grave.” Commentary and analysis has long pondered what the future holds in store for Syria’s Druze. Will they gain enhanced political influence or potential ostracization and persecution? The Druze in wartime continues to be overshadowed by the Levant’s larger geopolitical events. 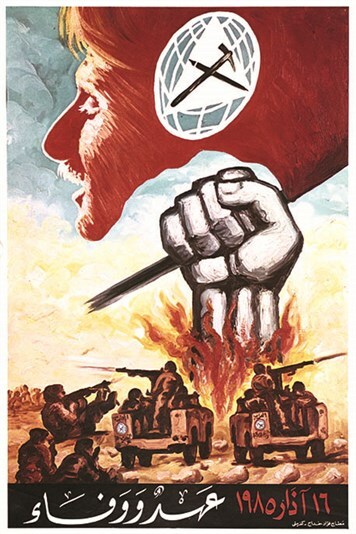 For some insights into how the Druze transitioned from a combatant force into a peace time political entity, a look back at the Progressive Socialist Party (PSP) and its militia, the People’s Liberation Army (PLA), during the course of the Lebanese Civil War, yields some insights. 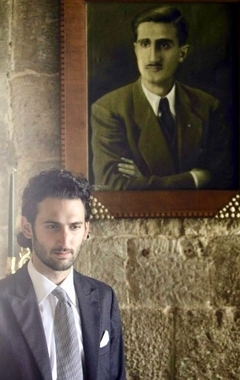 Kamal Jumblatt was born in December 1917 to a powerful Druze family with Kurdish origins. His parents had a long history of protecting Druze interests in Lebanon. His father Fouad obtained an administrator post during the period of Ottoman rule. When Fouad was assassinated by a member of the rival Druze Arslan family in 1921, Kamal’s mother Nazira took over as the head of the Jumblatt family. Kamal traveled to France and obtained a degree in psychology and civil education at the Sorbonne University before returning to Lebanon in 1939. He took over as the head of the Jumblatt family in 1943, the year of Lebanon’s independence. He founded the Progressive Socialist Party (al-hizb al-taqadummi al-ishtiraki) in May 1949. The party was officially secular and had a Pan-Arab orientation. 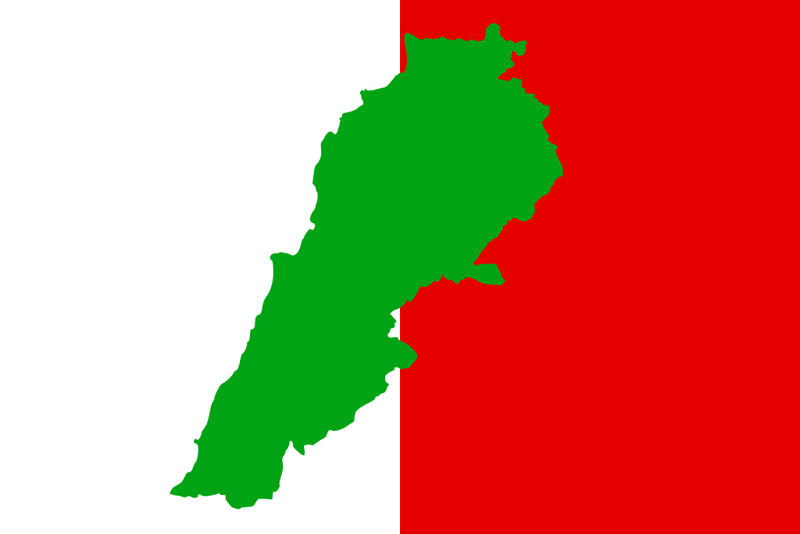 After Lebanon’s independence from France, Jumblatt formed a short-lived alliance with Camille Chamoun that brought down the corrupt and unpopular government of President Bechara El-Khoury in the Rosewater Revolution of September 1952. However, with the Suez Crisis in 1956, regional tensions soon reverberated in Lebanon. Strong differences emerged between Jumblatt and Chamoun and the Druze leader turned towards Egyptian leader Gamal Abdul Nasser who had taken power in Cairo following the Free Officer’s coup in July 1952. Jumblatt strongly supported the Pan-Arabist movements in the region. When Syrian President Adib Shishakli arrived in Lebanon seeking a place of refuge after the anti-Shishakli National Front coalition (which included the Baath Party and Syrian Communists) overthrew him in a coup, Jumblatt’s threats forced the former Syrian strongman to leave for safety overseas in Brazil. This was largely in response to Shishakli’s brutal offensive against the Druze in February 1954. By the late 1950s, the chasm between Lebanese President Camille Chamoun and Jumblatt reached a boiling point. In April 1957 Chamoun himself had voiced the opinion that reconciliation with Jumblatt was still possible. [i] However, a U.S. Embassy Beirut dispatch from August 1957 showed that the Druze leader had little trust or patience for his government. The dispatch relayed news of a meeting between Jumblatt and embassy staff where he denounced the Chamoun government and accused it of “gangsterism” in the Chouf and warned that his followers would take up arms to kick Chamoun’s “corrupt” local officials out of the area. Jumblatt added that Lebanon’s internal situation was “deteriorating to the point where only a strong and respected leader like General Chehab could restore law and order to the country.” Furthermore, he believed that Lebanon “must put its own house in order” to meet the external threat posed by the Syrian-Soviet accord. [ii] By the end of that same month, Jumblatt, railed against the government’s arrest of his supporters, and told the Lebanese press that Chamoun was risking pushing the Druze into a “second Hermel,” a reference to the Druze uprising against the French colonial forces some 30 years prior. Defense Minister Majid Arslan, for his part, said, “I believe the law ought to be applied equally to everyone without discrimination as it has already been applied to my own brothers and friends.”[iii] The 1958 clashes ended with the U.S. intervention and Jumblatt soon found himself included in the unity government cabinet of former Lebanese Army General Fuad Chehab. However, it was the alliance with the Palestinians that made the PSP the dominant power broker on the Lebanese left. In 1969, Jumblatt, in his role as Lebanon’s Interior Minister, legalized a group of radical leftist and nationalist political parties to allow them back into Lebanese politics. With the military might of the well-armed and politically assertive PLO fully behind it, Jumblatt’s PSP fastened itself in the conflict as the vanguard of the Lebanese National Movement (LNM). This coalition of largely leftist and revolutionary parties faced off against the Christian and conservative elements of the Lebanese political elite. 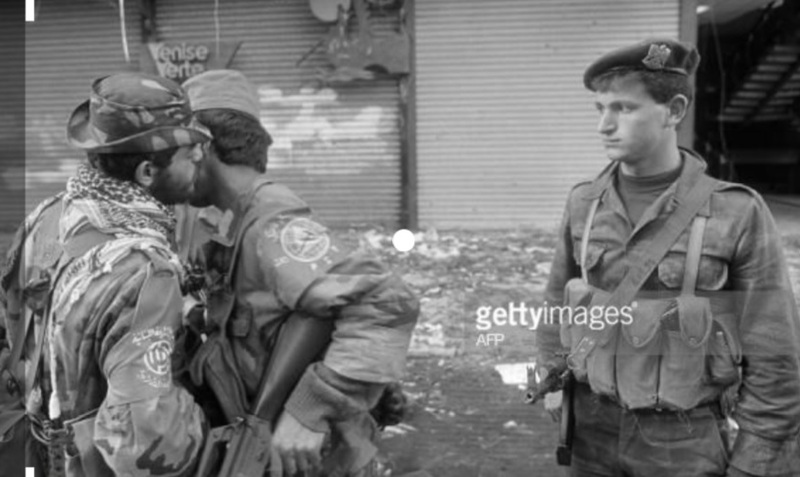 A series of clashes, massacres and retaliations escalated into open warfare in April 1975. Although often described as a sectarian conflict, the Lebanese Civil War, at least in its early phases, had strong ideological undercurrents that transcended sect and ethnicity. Patrick Seale wrote that Jumblatt was “a genuine man of the left,” adding, “He had early befriended the Palestinians, proclaimed himself a Nasserist, enjoyed cordial relations with Moscow, and from the late 1960s onward had gathered together a vast constituency of Arab nationalists and radicals of all sorts. 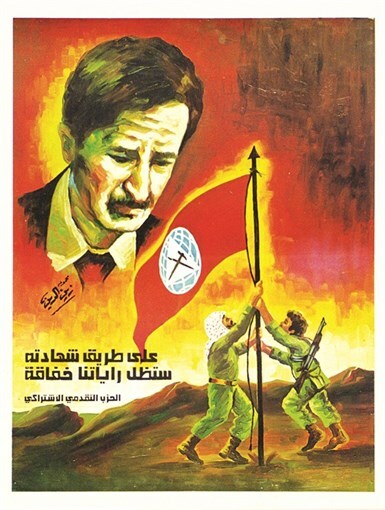 And by the spring of 1976, as his allies besieged the strongholds of his old Maronite rivals, he scented victory.”[vi] However, for Assad, this could not stand. In his view, the LMN was positioning Lebanon into a state of partition, which played directly into the geopolitical designs of Israel. After the Syrian military intervention in Lebanon in 1976, Jumblatt traveled to Damascus and endured a tense meeting with Assad. No agreement between the two was reached. Assad asserted that Jumblatt allegedly said he wanted to destroy the entire Lebanese confessional system. However, His son Walid later relayed that his father knew about Assad’s designs to divide the warring Lebanese factions and conquer Lebanon. October 25, 1975 – The Lebanese National Movement announces the end of the fighting in the first phase of the Lebanese Civil War. 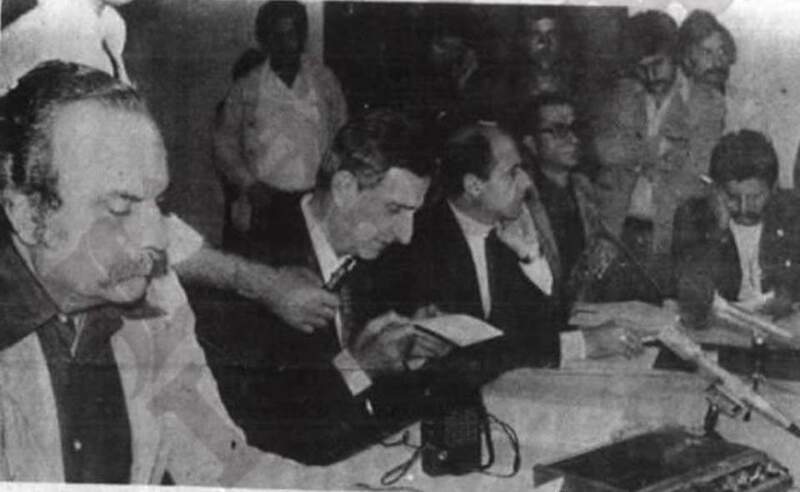 Kamal Jumblatt (center) is pictured with the SSNP’s Inaam Raad (left), along with Muhsin Ibrahim from the Communist Action Organization in Lebanon, and Anwar al-Fatayri of the Progressive Socialist Party. On the path of his martyrdom, our banners will remain fluttering. 1984. Kamal Jumblatt was killed by unknown gunmen on March 16, 1977 while traveling to his home in Mukhtara. Apparently he had sought to establish his own autonomous administrative region in the Chouf. Jumblatt had been targeted for assassination earlier in December 1976 with a car bomb, which he accused the Syrian-backed Saiqa militia of being behind the attempt. [viii] Lebanese Communist Party leader George Hawi claimed in a 2005 interview that it was Assad’s brother, Rifaat al-Assad, who was responsible for the assassination. [ix] Others have suggested it was likely a botched kidnapping attempt. The exact details of Jumblatt’s assassination were never fully investigated by the Lebanese government and to this day, like many other crimes of the civil war era, the murder remains unsolved. However, there was a general consensus that the Syrian Air Force Intelligence was behind the incident. Following Kamal Jumblatt’s death, Walid took over as the head of the PSP. The party and the civil war’s sectarian dimension became dramatically more distinct during this period. 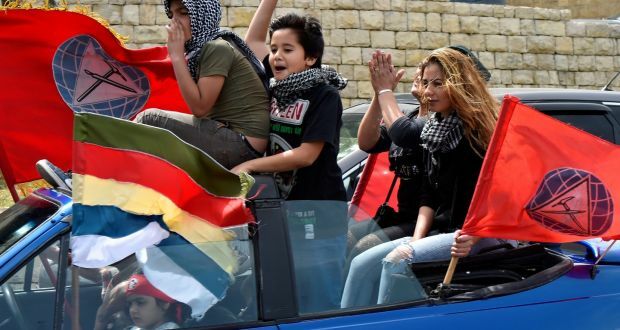 The Washington Post reported the cries of revenge by the Druze women at Jumblatt’s funeral, as well as the celebratory gunfire in the Christian sectors of East Beirut. [x] The impact of his death was felt particularly hard by the Palestinians. The Guardian quoted the late Yasser Arafat in 1977 saying, “It’s a tragedy. For us, Jumblatt was the equivalent of several armies fighting on our side.”[xi] The PSP engaged in brutal fighting with the Lebanese Forces in the so-called Mountain War from 1983-1984. The Lebanese Army joined with the Christian militias in an attempt to gain control over the predominantly Druze Chouf district. [xii] The PSP’s militia remained active in the conflict until the conclusion of the war, participating even in the final battles where the pro-Syrian forces routed General Michel Aoun’s troops holed up in the Baabda Palace during the so-called Liberation War. Aoun then left for his exile in France. Following the Taif Agreement, the PLA largely demobilized and entered the newly formed Lebanese Armed Forces and government security services. However, some elements of the PLA stayed on, participating in armed operations against the Israeli Defense Forces occupying southern Lebanon until the latter pulled out in 2000. March 16, 1985, Pledge and loyalty. A PSP militia fighter greets a member of Amal as a Syrian soldier looks on. Note the faction insignia on the shoulders. 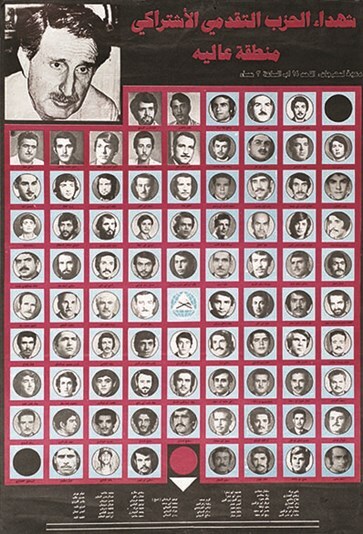 In 2005, Walid and the Lebanese Baath Party exchanged accusations over the death of PSP military official Anwar Fatayri, who was killed in 1989, after Walid had tasked him with pursuing reconciliation. [xiv] Ultimately, Jumblatt ended up shunning the Syrians in the post-war period. 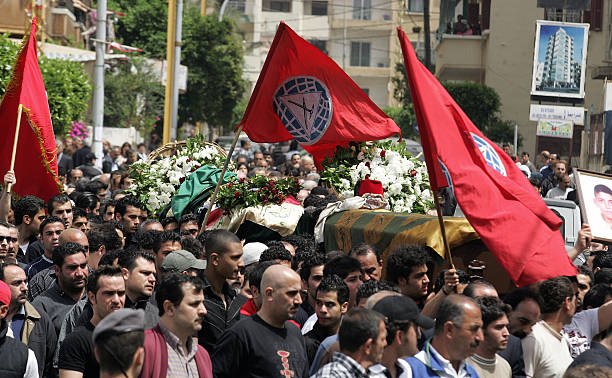 After the 2005 assassination of Rafik Hariri, the PSP became a part of the anti-Syrian March 14th Alliance. 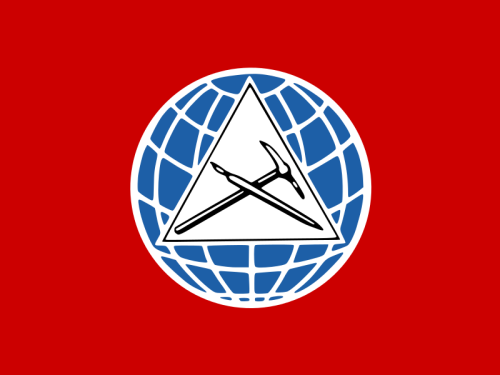 The flag of the Lebanese Democratic Party, the PSP’s primary rival within the Lebanese Druze community. The PSP will proceed into the coming decades in an environment with a heightened sense of community awareness, political activism, and growing desire for reform, equality, and better governance among Lebanon’s younger generation. The legacy of Kamal Jumblatt, frozen in time in 1977, will shape and guide the party. Although the past is present, whether or not the PSP can respond to the future remains to be seen. History to date lesson this is, not readily available information all in one place. How complex the Middle East is, when broken down, makes one wonder how it can survive the future? “some elements of the PLA lingered on, participating in armed operations against the Israeli Defense Forces occupying southern Lebanon until the latter pulled out in 2000.” First time I hear about it (I heard about cases in the Gharb from 82 though). Had there been more than maybe a few individual cases? What was his name ?